In a world of high finance, unprecedented technological change, and cyber billionaires, it is easy to forget that a major source of global wealth is, literally, right under our noses. Coffee is one of the most valuable Southern exports, generating billions of dollars in corporate profits each year, even while the majority of the world s 25 million coffee families live in relative poverty. But who is responsible for such vast inequality? Many analysts point to the coffee market itself, its price volatility and corporate oligarchy, and seek to "correct" it through fair trade, organic and sustainable coffee, corporate social responsibility, and a number of market-driven projects. The result has been widespread acceptance that the "market" is both the cause of underdevelopment and its potential solution. 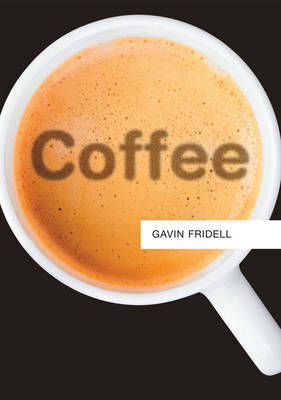 Against this consensus, Gavin Fridell provocatively argues that state action, both good and bad, has been and continues to be central to the everyday operations of the coffee industry, even in today s world of "free trade". Combining rich history with an incisive analysis of key factors shaping the coffee business, Fridell challenges the notion that injustice in the industry can be solved "one sip at a time" - as ethical trade promoters put it. Instead, he points to the centrality of coffee statecraft both for preserving the status quo and for initiating meaningful changes to the coffee industry in the future.